Are you looking for the best free file and folder transfer program ? Please try Folder Transfer, which is a PC to PC file and folder transfer software that can transfer your files and folders over LAN (Local Area Network) or over Internet (remote network access). You can use this auto file & foldertr ansfer tool to send files to multiple destinataions at a time. Please download Folder Transfer for file and folder transferring between computers. Share folders and files to let other users to download over nework anytime. 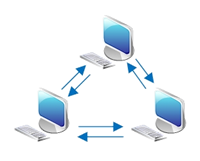 Comared other file transfer softwares or solutions, which they don't have a feature to transfer a folder, our software, Folder Transfer is the best fit for you to send a folder over networks. You can use this free folder transfer software to transfer files & folders from one computer to another, or send files to multiple computers no matter they are located in your office LAN , home network or even corporate remote networks. Who will use this folder transfer software ? When you buy a new lap top or new desktop computer, you want to transfer your files from the old pc to your new computer. You will think about: Which is the easiest way for transferring my files from the old computer to new laptop ? The answer is Folder Tranasfer. Free version is available to let you use all the features of the file transfer utility. As a marketing & sales person, you may need often copy files and folders from company's server or your desktop in order to show some key information of your company's products and services. 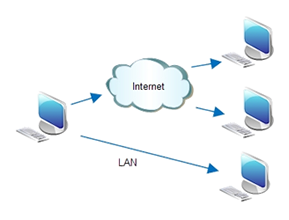 So you will have such questions at your company, how can I do a pc to pc file transfer? more exactly, how to transfer my files from desktop to laptop ? If you are out of office, how can I get files or data from my company's server remotely ? What is the best way to transfer my files and folders between computers, especially when there many files need to copy or move ? Definitely, Folder Transfer is the best pc to pc file transfer utitlity for you to transfer your files between two computers. In addition, it is an auto file transfer software program, you just need to drag the files and folders into the program window, then you can transfer all of the files to another computer. Folder Transfer software is the best free software for transferring files from pc to pc and for remote file transfer between computers over Internet.